The PC-based software supplied at no extra cost with the analyser automatically creates custom configurations based on user requirements and facilitates tailored automatic data analysis. It also allows users to create their own analysis templates that can be loaded into the analyser. 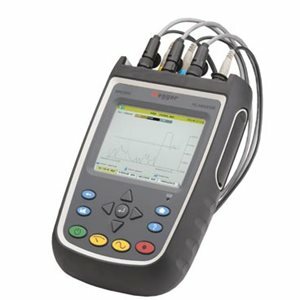 To complement its versatile handheld MPQ1000 power quality analyser, Megger offers flexible current clamps that have four selectable ranges from 0 to 6000 A.